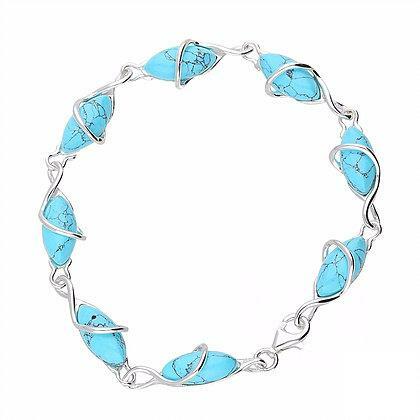 Gorgeous handmade Sterling silver bracelet set with oval created turquoise stones, featuring silver swirls. 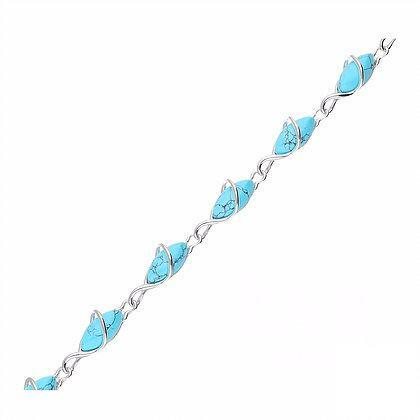 Wear alone, or pair with any of our turquoise pieces for a striking look. The colour of turquoise brings a fresh, welcome energy - it brings hope, discovery and balance.